The Covert MPE6 trail camera is what I call a workhorse. It’s a very affordable camera that has excellent battery life and is compact in design. Let’s take a look at some features and specs of the Covert MPE6 trail camera. 2 shots at 30 second intervals. 2 shots at 1 minute intervals. 3 shots at 5 minute intervals. 10 second videos at 1 minute intervals. The Covert MPE6 runs on 4 or 8 AA batteries. If you run this camera, like we have, off maximum battery capacity (8 batteries) you may not have to change the batteries for a year or more. The MPE6 is very efficient on power consumption! The MPE6 can take up to 6 MP pictures and offers lower resolution video. The 6 MP photos are not the best quality compared to higher priced cameras, but it gets the job done. 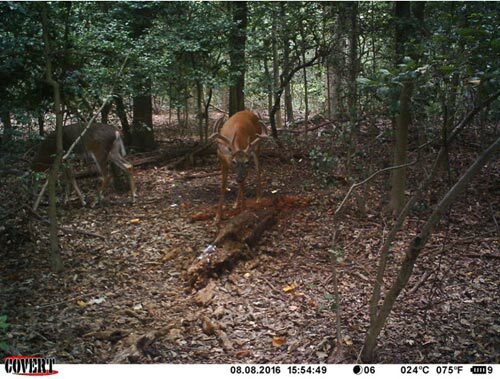 Here are a couple examples of some nice deer we got on camera with the Covert MPE6. A stud urban Maryland buck in velvet. Here’s a nice 2.5 year old buck we caught cruising the ridges in New York. Note the 7 in the lower right. It indicates 70% battery life. Price – The price point is around $100.00 which makes it affordable and replaceable in case public land bandits strike. Design – The Covert MPE6 is simple and compact. I can pack it in, set it up and turn it on in the dark if I need to. Battery Life – The batteries last so long that the camera will pay for itself. Eight batteries will run the camera for about a year. Dependable – The camera provides the data that you need to be successful in the field. Made by a respectable company – Covert provides exceptional customer service and their products come with a warranty should any issues occur. 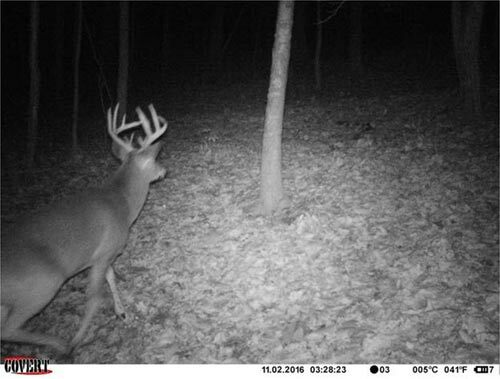 Trigger speed – It has a “slower” trigger speed; with that being said there is a place for this camera along creek crossings, ditches, feeders and food sources where deer are less likely to be moving overly fast. Photo quality – The Covert MPE6 will not offer the glamourous shots that trail cameras double this price point can offer. Overall, this camera gets the job done and is very affordable. 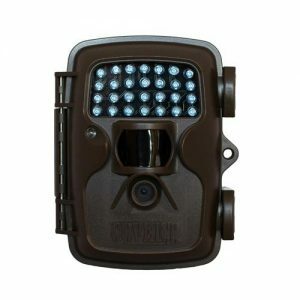 For more information on this and other cameras from Covert, visit their website at https://www.covertscoutingcameras.com. The Covert MPE6 is an affordable camera that gets the job done! 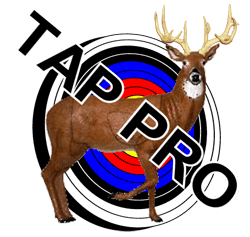 Tim is an avid bowhunter that is constantly seeking not only high quality products but the highest quality products. As someone that films professionally , he relies on these products to be successful. Tim has been working on bows and in archery shops since 16. He has been successful on a multitude of species across the country. 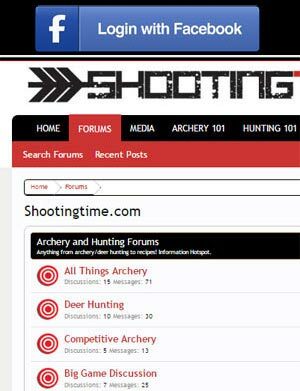 Tim thinks it is important to help people be a successful hunter/ shooter and help people find the right products.